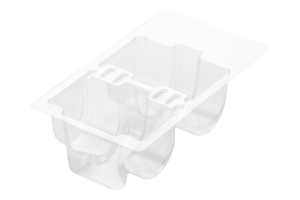 Scafa Thermoforming from germany provides you with high-quality blister packaging, such as folding blisters, sealed blisters and much more. 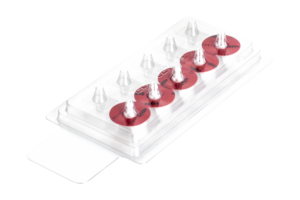 The advantage of the innovative thin-walled visual packaging called blister packaging is obvious: the transparent blister packaging presents the contents, i.e. the product, clearly visible from all sides. In addition, they can be adapted to the contours of any product. We at Scafa will be happy to discuss the development of such blister packaging with you in person: you present your product to us and we take care of the professional packaging – without any outsourcing. Deep-drawn plastic hoods are usually made of clear plastics. 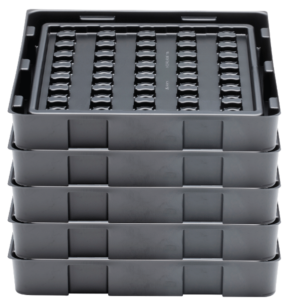 These can be used for packaging, but can also be produced for technical applications. An HF blister consists of a blister cover and a backside which are connected by means of high frequency or a thermal sealing process. 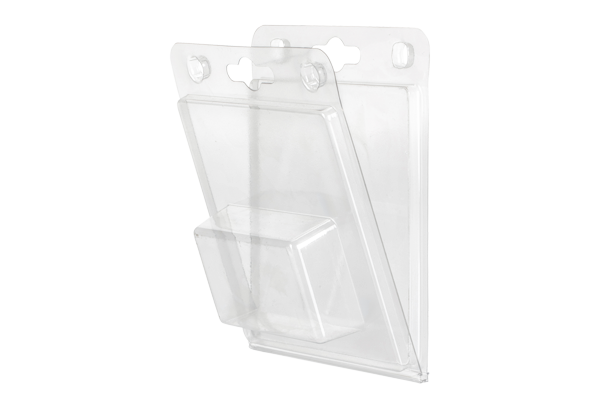 The perfect individual single-material packaging with a completely clear view of your product. Insert the product, fold up the blister and you’re done. 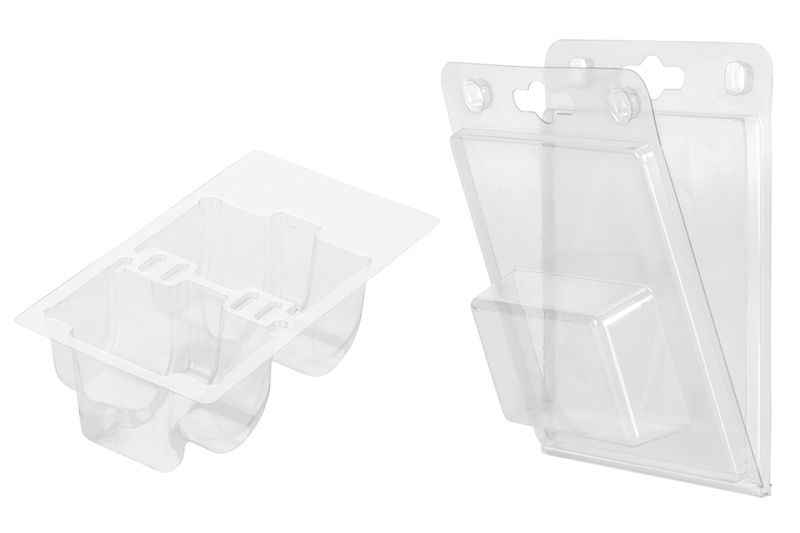 The sliding blister packaging is a visual packaging for uncomplicated handling. Informative and effective. Seal blisters are used when a plastic hood is sealed against a blister card after filling. Your packaging solution not included? Get in contact with us and let us advise you. We will find an individual packaging solution for you. Blister packs can be designed to make it more difficult for thieves to steal them. This advantage is particularly noticeable with small parts. This is achieved by the large packaging of small objects, which makes shoplifting more difficult. The foil or the lid on the back of the blister is ideally suited for labelling them with instructions for use or prescribed information on the manufacturer or ingredients. This makes them easy for the customer to see, but does not interfere with the sales-promoting design of the visual packaging. 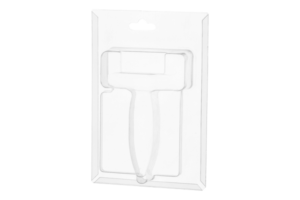 Especially for hygienically sensitive products, blister packaging reliably prevents soiling or contamination of the contents. Toothbrushes, for example, can be packaged individually in sterile packaging and still be inspected by the customer. 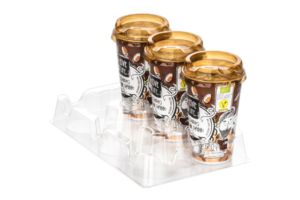 Equipped with Euroslot, blister packs can be easily sorted according to product groups and clearly hung up for the customer. Customers appreciate this order and can select easily. In addition, blister packs make it easier for retailers to assemble goods and reduce inventory costs. You want to buy individual packaging? In addition to blister hoods, our portfolio also includes other types of thermoformed articles, which we manufacture according to your individual wishes. These include ESD trays and plastic trays, plastic inlays and various other workpiece carriers. We help you to solve your packaging problem.